We develop unique solutions for water pump lines in deep shaft mines, large HVAC systems, flexible metal hoses, and more! Many potential applications for orbital welding fall outside standard categories. Manufacturing often must weld pipe and circular workpieces to high quality standards. Maintenance may require weld overlay buildup to replace metal lost due to corrosion and erosion on circular OD's and ID's of round components. Mechanized welding is ideal for these tasks which may require many hours of continuous welding. 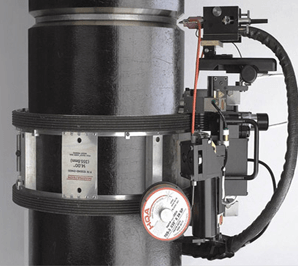 The high duty cycle of automated welding significantly reduces both project time and costs. 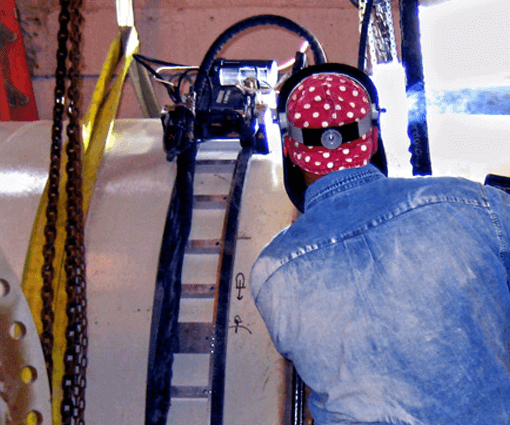 The Swedish division of a large Finnish contractor, YIT Sverige AB, was required to weld stainless pipe, 20" and 24", in a deep iron ore mine 600m (1,968') underground. The pipe, used to pump out water, had to be welded in the mineshaft in the 2G position. The welds had to meet the highest quality standards. YIT used two Pipemaster/T-Head systems to guarantee the required quality standards, under difficult welding conditions underground. A further complication was the very low sulfur content of the pipe which compromised weldability. This was overcome using an argon/hydrogen gas mixture, and filler wire with a high sulfur content. LKAB is a leading producer of processed iron ore products from their deep mines in northern Sweden. A stainless water pump line, 610mm (24") x 14mm (0.55") wall thickness required installation, with all welding to be done in the 2G position. The primary contractor, Fineweld, estimated each weld would require 16 hours for fit-up and manual stick welding. A Pipemaster and T-Head was purchased, and an experienced subcontractor, ATC Rörinstallationer AB, hired. Welding time was 2 hours, 45 minutes, with fit-up and welding completed in 3-1/2 hours vs. 16 hours required for manual, and six welds made per day. 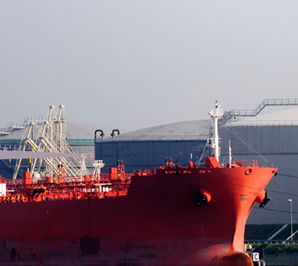 The Bahamas Oil Refining Company operates the Vopak Oil Storage Terminal in Freeport, Bahamas. Located 80 miles off the Florida coast, the 20-million barrel facility offers blending, transshipment, and storage, services. With the regions largest deepwater jetties, the terminal is suitable for berthing large vessels transporting South American crude. Quality Services Ltd. was contracted to weld the suction and other pipelines on a new jetty which consisted of 10, 14, 20, 24, 30, 36, and 42" pipe diameters. Quality faced difficulties hiring enough skilled manual welders for timely completion of the project. Quality Services investigated welding using the Pipeliner System, and subsequently purchased a system. After only a day of onsite training, a 24" x .500 wall that required 10 hours manually was completed in just 2-1/2 hours (after the root pass, done with Miller RMD process in 20 minutes) with the Pipeliner. The dramatic productivity boost led to the purchase of a second system, followed by a third. 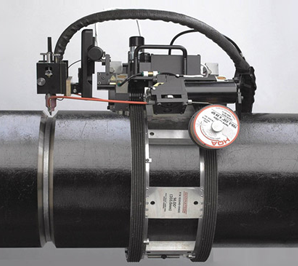 A manufacturer of liquid level indicators and gauges needed to weld thin-wall cylindrical and spherical floats. 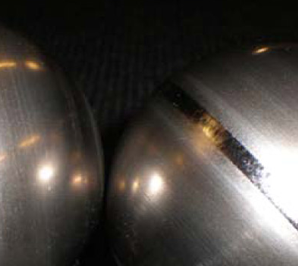 Floats are fabricated in two halves of deep drawn 316 stainless steel or titanium alloy – dependent on customer application such as temperature, pressure and liquid density, as well as material compatabilitites. The float houses a magnet array which is read by an externally mounted indicator assembly. Welds had to be made to ASME B31.1/B31.3 standards. Magnatech engineering special collets to precisely align the spherical float weld seam in an 800 Series weld Head. The enclosed chamber provides excellent gas coverage required for titanium. Madison Square Garden Arena is undergoing a multi-year $968 million renovation, with the majority of the work done in the summer months. MSG is home to both the New York Knicks and the New York Rangers. Evolution Piping, a New York mechanical contractor, was selected to rebuild the ice skating rink under a tight schedule: a single canceled game results in million dollar revenue losses. 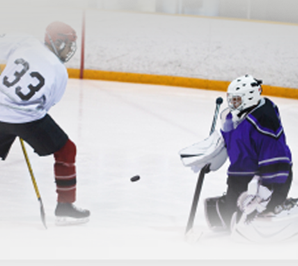 The job required welding 2” – 6” (60mm – 168mm) carbon pipe, with restrictive spacing for the coolant piping directly under the rink. Each weld required radiographic inspection, as the final step was to encase them in concrete to create the rink floor.